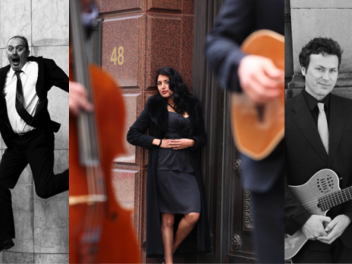 "Ensure elegance and an intimate ambiance with Tiffany's"
The fabulous Sydney jazz/lounge ensemble Tiffany's has wowed audiences around the world. 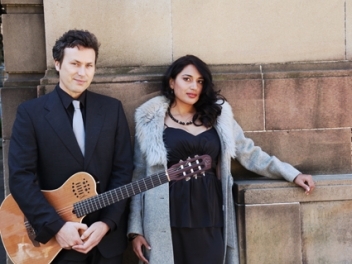 They perfectly enhance the ambiance with their elegant, romantic sound and varied repertoire of sophisticated tunes sung in French, Italian, Spanish and Portuguese as well as time-honoured favourites in English. Think Ella, Nina, Billy, Sinatra, Jobim, Dusty, Eva Cassidy, Norah Jones, French Martini, Edith Piaf. With an album being cut as we speak, these pros know how to create the perfect soundtrack to your special event and make it magical. 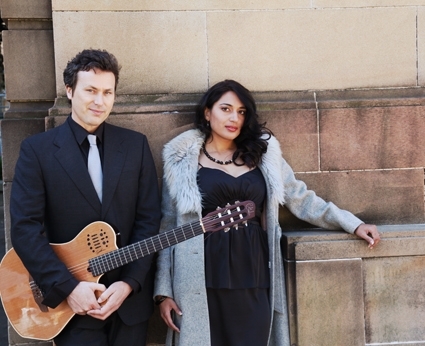 They play as a vocal and guitar duo, trio, quartet or quintet with choice of cello, bass, piano accordion, sax/keys, or percussion. They can also provide a cool cocktail sound jazz-jamming with their own DJ.